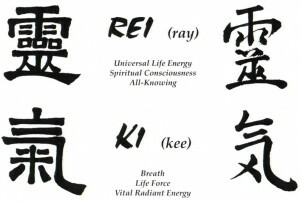 Reiki (ray-key) is a gentle method that promotes relaxation and healing. It is a non-invasive practice of placing the hands in specific energy patterns on a fully clothed person. Its many benefits include eliciting the relaxation response, relieving pain, reducing stress, restoring energy, strengthening the immune system, supporting the body’s natural healing system, and promoting well-being. Reiki is a form of energy medicine. Energy flows around and within us as a natural part of life. A Reiki practitioner facilitates the flow of this life force energy. It works holistically to bring balance and harmony to the body, mind, and spirit. This energy moves through and not from the practitioner to the recipient to be drawn wherever it is needed. Reiki is not based on any religious belief system although its founder, Dr. Mikao Usi, was a Buddhist. Two of Reiki’s core essences are compassion and concern for others which are found in all religions. Reiki is practiced and taught all over the world. This Japanese relaxation and healing method works for the highest good of the recipient and does no harm. It compliments and supports both conventional and alternative care. Rei means; spirit, soul, higher knowledge, spiritual consciousness, divine being, spiritual wisdom, universal , or ability to work within greater wisdom. Ki means; life energy that surrounds us, vital life force energy, non-physical energy that animates all living things, universal life force. These Japanese kangi or ideograms combine as Reiki to mean the concept of spiritually guided universal life force energy.